The 0.8.5 version of Converseen, the automatic batch image processor for Windows and Linux has been released. This version brings some bug fixes and lets the user to disable the automatic checking for updates. I’d like to inform everyone that I’m currently working on Converseen 1.0. At the moment I can’t say when the first stable version of the program will be released but I can anticipate that a lot of parts of the program will be rewritten from scratch in order to build a more stable and modular version of the program. 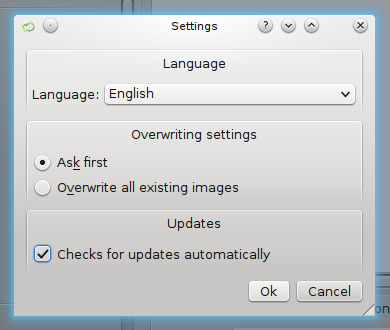 Entirely written in Qt5 of course! You can download freely Converseen for Windows and Linux from here: [Download].